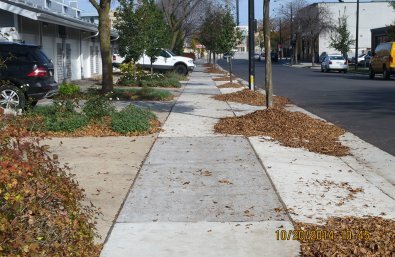 The City of Milwaukee Department of Public Works will pilot the use of prefabricated porous sidewalks as a cost-effective way to capture stormwater in parts of the city where impervious surface is the greatest. Building off experience from other parts of the country, the city will experiment with the use of pre-fabricated sidewalks to address quality-control issues that arise when pouring porous concrete on-site. Porous walkways have the potential to be widely incorporated into street and sidewalk reconstruction projects, which could dramatically reduce flooding issues in highly urbanized areas.